Dominic Cerniglio – Private Pilot! Congratulations to Dominic Cerniglio on a successful check ride with Joe Justice for the Private Pilot Certificate! 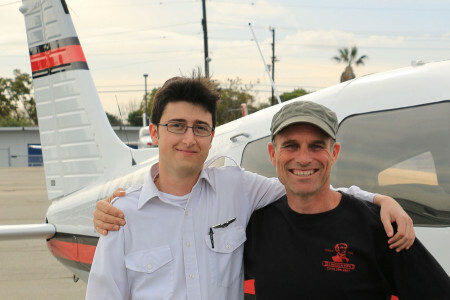 IMAGE L-R Andrew Schweitzer CFI, Dominic Cerniglio.